Q+A: A silent epidemic: Why are suicide rates on the rise? Suicide rates have been steadily rising in the United States. So what explains the increase in the numbers of people taking their own lives, and what can be done to solve what amounts to a crisis in public health? Maria Armoudian speaks with Mark S. Kaplan. Mark S. Kaplan is a Professor of Social Welfare at UCLA. He is an expert in physical medicine and rehabilitation. What are the factors that explain the rise in suicide rates and what does this really mean for society? The data that has been reported is not entirely new. I mean, we knew the rates were on the rise. What surprised a lot of people were the additional information that was also reported at the time. Not only did they report trends based on a database that they have but they also reported new findings from something called the National Violent Death Reporting System, which was quite interesting and got far less attention than the rate on the rise since 1999. Namely, the National Violent Death Reporting System showed that there are a number of suicides that do not follow the standard psychiatric profile associated with suicidality, that perhaps psychopathology is not present. So there were some additional findings that one needs to look at in order to fully understand the changing nature of suicide in places like the US. It is indeed going up. But it is not going up in all groups at the same rate. One needs to disaggregate this space and look at groups that seem to be more vulnerable that is people in their middle years, men in their middle years and in particular men in the 45-64 bracket which has been getting quite a bit of attention based on work that two economists [Anne Case and Angus Deaton] showed a couple of years ago. That is the group that has experienced the most dramatic rise in suicides in the United States. So traditionally has suicide been more prevalent in one gender or the other? So historically how has it been? Globally speaking, there are very few countries, in fact we know of one country that is China where the rate of suicide is higher among women than men. Outside of China most countries pretty much follow the same patterns. Let’s focus on the US for now, and the most recent statistics from 2016. There were about 45,000 deaths overall in the country that were suicides. Of those about 35,000 were males and about 10,000 were females. The ratio of men to women is about 3:4:1 depending on which age, that is for every age group. But in older people, that is older than sixty-five, men have a rate of suicide that is twelve times higher than their female counterparts, so there is this variability across the board. Some have said that there is a gender paradox in the sense that women are more likely to attempt, and that is true based on the data, and men are more likely to complete and die by suicide – partly due to the methods that men use. More men who die by suicide die by a self-inflicted gun shot wound, women are more likely to use less lethal means, that is means with a lower case fatality rate. But that is also changing. One of my Ph.D. students is looking at changing patterns or trends in gun suicides among women and those rates are on the rise and about a third of all suicides among women involve guns. So let’s talk about why some of these trends are shifting a little bit. I understand there are some economic factors, there are some social factors, as well as psychological ones. Can you divide these up and help us understand what each of these seems to be? What you might best refer to as the psycho-social influences on the suicide rate. And for one, there are demographic factors, there are geographic factors, there are cultural factors. Case in point: I was recently having a conversation about Korea. Korea today has one of the highest suicide rates according to the OECD. Some have tried to look at that problem as purely psychological, but I think that misses the point. There are major cultural changes, religious changes, from religions of the past to religions of the present, so there are a lot of changes occurring at the national level in Korea that might be contributing to the shift in the suicide rate. In the US, I was funded to study specifically the effects of the Great Recession of 2008. And I think there are some interesting findings there that are relevant in terms of the social determinants of suicide, namely at the time of the Recession we studied using a national experiment design, in other words we looked at data before the Recession, during the Recession, and after the Recession. And what we found was the following: With men, the rate of suicide did go up, the rate of alcohol-associated suicide that also went up, which might be a marker of impulsivity. And also what’s interesting and perhaps the most surprising finding was the fact that there was a delayed effect for women. So women who were subjected to the great recession had a rise in the suicide rate and a rise in their alcohol-linked suicide rate a few years after the men, so there was a delayed effect in terms of the adverse effects of the Recession on women. So what does this tell us in terms of economics? I mean I am assuming that while we have got this trend shifting when we have a great recession so there is economic pressure on people, obviously not everyone commits suicide so there must be a combination of more than one factor? So we have got the economic factors coming in and some people are more susceptible than others. What is that? That is always an important question. You know we often focus on those who die and often focus on if you will the negative. But what about the positives? What about those who were resilient, who had the capacity to weather the recession. It could be a combination of biological factors, genetic constitution, psychological constitution, social support, they had protection, they had people to lean on. But there are many individuals who did not weather the adversities of the economic recession. When you dig a little bit deeper and you drill down a little bit, what you see during the Great Recession was those who had fewer years of education had a much higher rate, those in a lower socio-economic position to start with were more likely to have much higher unemployment rates. You know, the unemployment rates varied according to one’s education level, education to some extent is destiny, it is a socio-economic factor, but in terms of the Great Recession those with a graduate degree or four years of college had an unemployment rate that was four percent if not under that. Those with just a high school or less had nearly twelve percent, even higher rates in some cases. And there was some geographic variability too. So to add to this mix of psychological vulnerability, gender, genetics, also geographic, there are really critical differences at least in the US according to where you live. If you live on the West Coast the suicide rates are lower, on the East Coast they are lower, in the middle they are higher, between the Mississippi and the mountain region that is the area with the highest rate, and then on top of all this is the role of guns in all this, because in the case of men over sixty percent of men who die by suicide do so with a gun, with women it is about a third. So it does raise a lot of questions, and one of those questions related to guns is whether suicide by gun should be considered on par with homicide. As an expert of suicide what would you say on this? That’s an important question, because I am also very interested on firearm violence I teach a course on firearm violence. And I am very interested in firearm violence, not only as it pertains to suicide, but in general. About 34% of gun deaths in the US are homicide. About 62% are suicide. So the lion’s share of gun deaths in this country are suicides. But the debate about gun control has been confined to homicides and maybe accidental deaths. There has been far less attention on suicides. It is almost as if it is a hidden epidemic of gun suicides. I don’t quite understand why. I think it has some cultural explanations, it might have something to do with the stigma of mental illness, as well as people who might have a mental health issue are perhaps suicidal and have access to guns. That is a debate that we haven’t had in this country. So I am always concerned that the discussion both in the media as well as at the policy-making level have focussed away from suicides involving guns. And let me just give you an example: according to the data on which states have the most restrictive gun laws, when you look at California, California gets an A-plus in terms of gun restrictiveness compared to the rest of the country. When you look at the rest of the country and you look at certain age groups, nearly fifty to sixty percent of suicides involve guns. In California it is thirty percent or under. So restrictive gun laws do matter in terms of reducing the likelihood of gun use among suicidal individuals. And then the other factor that you have pointed to in your work is about poverty and the role of poverty. So let’s talk about poverty and that trajectory. It doesn’t of course explain when wealthy people commit suicide, but it sounds like what you are saying is that more poor people commit suicide than wealthy people? Here is an interesting point about that: there is just so much that we don’t know about suicide, and we are lumping a lot of heterogeneous factors. I for one have always said that when we look at suicide mortality or suicide morbidity that we need to separate genders. I mean, the phenomenon of suicide among women is quite different from the phenomenon of suicide among men. Men are more likely to die, women are more likely to survive after an attempt. And the question of the socio-economic determinant, I think that is a different type of suicide than the type of suicide that we often think of: you know, the recent deaths of Kate Spade and Anthony Bourdain kind of highlighted that perhaps well-educated, white individuals are most vulnerable. Well that is true to some extent, but there are a lot of hidden suicides, the suicidal behaviour that doesn’t necessarily lead to death but is clearly a form of self-harm that is associated with one’s socio-economic position, one’s disadvantage. Poverty emerged as a factor in one of the last studies I did. We try and disentangle the different determinants during the Great Recession. We looked at unemployment, we looked at home foreclosures – which was one of the markers right of the great recession. You take a look at any picture you will see signs everywhere around the country for foreclosed homes. And then we also looked at the rate of poverty. And what really stood out which was a surprising finding, was that above everything else it was poverty that seemed to be driving up the suicide rate and the alcohol-linked suicide rate. Are there certain common factors that we can point do psychologically that merge with these social factors, like certain emotions? And I ask this partly because of things like anxiety and shame and how hard it is to heal somebody who has experienced shame. Are these emotions something that are important common ground that go with the social factors? They do, but they should not be stripped away from their social context. There are social determinants of depression. 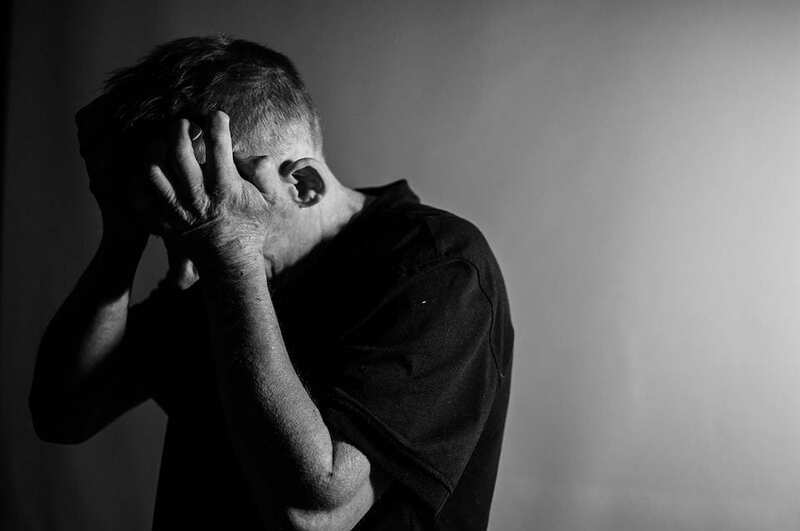 When one loses their job, one becomes demoralized, one begins to feel those negative emotions that may contribute to a trajectory leading up to a suicide attempt. So what concerns me is that we tend to individualise or over-psychologise the phenomenon of suicide. You know, many people studying suicide have said that suicide is not the exclusive domain of the psychological sciences. If there is one thing we learn from [Émile] Durkheim writing in the late eighteen-hundreds, who is still relevant today, major societal shifts, the ways societies are organised, all contribute to a rise in suicide and to do anything less than examine those social forces, I think we do ourselves an injustice by failing to look at the more broader determinants of suicidal behaviour. Of course, but the issue of personal responsibility is creeping back, as you know. We are attaching all sorts of conditions to receiving welfare, so to speak, whether it is healthcare, whether it is food stamps, you name it. That is the result of a conservative wave. That is the imposition of the responsibility on the individual as opposed to assuming a more socially just approach, which is an emphasis on collective responsibility. We are not quite there yet. Let me give you an example: during the time we were studying the Great Recession I had some interactions with some colleagues in Sweden. And I said ‘Did you guys experience the rise in suicide that we did?’ And there was a pause there and he said ‘No, not at all, nothing really changed that much’. The reason for that is that they stepped in and that safety net was strengthened, in other words there was workman’s compensation, unemployment compensation. All those services were there, and the state stepped in and there was a collective response to it and they softened the blow of the financial recession in Sweden. We in the US basically lowered the safety net and allowed people to fall. Many of them fell and wound up taking their own lives. So I imagine a big part of this is also that social stigma that you alluded to you in this falling down and not having the ability to pick oneself up and also the stigma that gets attached. Exactly. You are talking about multiple barriers here. One in this stigma. I mean clearly there is no doubt, we have tried for years to establish parity between mental health and physical health and we are nowhere close to that. I mean no one will tell you with a straight face that we have achieved parity in terms of treating the two, where there is no stigma. As you know, there are many people who walk around who have kept silent about their distress, and there are a lot of people that are distressed. There are probably more people who are distressed out there but are unable or unwilling to discuss their feelings. Now do you think that there are a chunk of people in this percentage that have no known mental illness that are actually suffering from a mental illness? The bottom line is that we don’t know. You know we don’t even know how many people die by suicide every year, believe it or not. The 45,000 people who died in 2016 is probably an underestimate. I have colleagues of mine who published a piece a few years ago and they noted that unlike the official statistics of suicide being the tenth leading cause of death, they argued that if we really took into account many of these deaths that are due to drug intoxication that look very much like suicides, our rate of suicide would probably rank eighth not tenth. A few years ago the Institute of Medicine in a 2002 report on reducing suicide argued that the true rate is probably twenty-five percent higher. And let me tell you something else that we have uncovered, and this is a somewhat exploratory analysis, but it is very informative, in that there are a lot of silent suicides, you know people who do not have the standard psychiatric markers of suicidal behaviour: they don’t have a history of depression, don’t have problems with substance abuse, all those risk factors that we often aim our efforts at. In the analysis we did, about twenty-two percent of the men were basically men without any of these markers, these standard factors that we often say are contributors to suicide. Now there is something else that people have questioned and that is this role of sort of copycat suicides whenever it is in the media. Is that a real phenomenon or is that just people being afraid? Well I was interviewed after the death of [comedian] Robin Williams because this came up shortly after that, there was a lot of concern. There was some research that was published, a study that came out that said there were some deaths attributed to him. There is pretty strong evidence based on the World Health Organisation that there is some evidence that a death of a celebrity can trigger some other suicides – there is no doubt about it. But the question is were these individuals already vulnerable? Did somebody go from no vulnerability at all, to become vulnerable enough to take their own life? There are questions that we simply don’t know. There is an inability I think in the field to truly embrace complexity and suicide to me is one of the most complex public health problems that I have ever looked at and I am a public health researcher. You must think that in order for somebody to commit suicide that they must be in so much pain that staying alive is not an option. Absolutely. One of my areas of interest is quality of life. And there are individuals who feel that their condition makes them worse than dead. That is what they say. There are people who are facing an existential crisis and feel a tremendous amount of distress in their lives and don’t communicate this. And it is probably true for men. There are men who don’t often like to talk about their emotions, male psychology is playing some role in explaining why men have a higher rate of death due to suicide. So I suppose there is a certain amount of compassion that we should probably be lending to this situation as a society that perhaps we are not giving enough to? Well you know, I think if we were a more compassionate society we would probably devote more of our national resources to the study of suicide. Just a case in point: I was looking at what the National Institute of Health and the Centre for Disease Control spends on research involving studying epidemiology and prevention of suicide. In 2013, suicide received 37 million dollars; heart disease, 1.2 billion dollars; HIV/Aids, 2.9 billion dollars; prostate cancer, 266 million dollars. And guess what? HIV/Aids, the death rate between 2002 and 2013 dropped by 53%; heart disease by 29%; prostate cancer by 14%. Suicide: the rate went up by over 20%. So do you think that the lack of funding to understand suicide is coming from our own sort of societal denial? Well I think there is a denial. I think it is an historic problem of some of the myths, the stereotypes, the stigma of mental illness. I mean there is no question about that. But not everybody who takes their lives had a diagnosable psychiatric problem. You know, there is a dispute about that, there is a dispute about where that data comes from. If you look at other countries, the role of psychopathology in suicide is a lot less significant of a factor than in the US. But there is no question, you know mental health is a big problem, guns is a big problem too,. The problem at least in suicide is most suicides are gun-related and they are even more gun-related among men. And if we were more serious about the gun debate, we would probably do something about limiting access to guns among people who are perhaps suicidal. But as I said before, there are people who are not suicidal who have access to guns and end up taking their own lives. Sometimes all it takes is a major crisis, an existential crisis that drives people to short-circuit some of the standard trajectories that people take when they take their lives and basically go from experiencing a major crisis to ending their lives with a self-inflicted gunshot wound. So the US is probably in a bit of an existential crisis at the moment. It is almost a state of denial in many ways of the role that guns play in suicide, the magnitude of the problem of suicide, and it is probably even worse than people think. In many age groups it is the number two or number three leading cause of death, and yet we devote so few of our national resources to solving it. And I think that is a shame and that is the denial and that is the lack of collective responsibility for this important public health crisis. In terms of where we go from here, if you were going to make one very solid recommendation would you just say we just need to understand this better so we can devote more funds to it? Or is there something else? One obvious approach is to extend funding. For instance, there was a national database called the National Violent Death Reporting System, and this has historically been underfunded and it would provide us with some insights. It is a unique database in the industrialised world and it would provide us with new information on some of the factors associated with suicide death. I think we need to spend more money at the national level in terms of prevention at the NIH and CDC and other agencies – that would be helpful. But we at the more theoretical conceptual level, I think we need to step back a little bit and widen our lens. You know many of us operate in silos as we study suicide, most of us do not adopt a truly trans-disciplinary approach to suicide. And given the complexity of the risk factors involved, I think there is a real need to reconceptualize how we have approached, how we study suicide. We need new streams of funding, and we need to have a political will at the national level and at the highest level. I mean, most of our leaders have tried and have been unsuccessful. President Obama tried to expand the NVDRS, tried to do more but unfortunately some of these issues get bogged down because of the gun debate, get caught up in gun politics, and that is a big problem. But we have had on the books for a long time something called the Dicky Amendment which has basically a moratorium on the funding of gun research in this country, as you might know. This goes back to the Nineties. So we are far behind in understanding the role that guns play in suicide. Q+A: How does trauma affect people and society?